4 Bedroom Detached House For Sale in Uckfield for Guide Price £750,000. 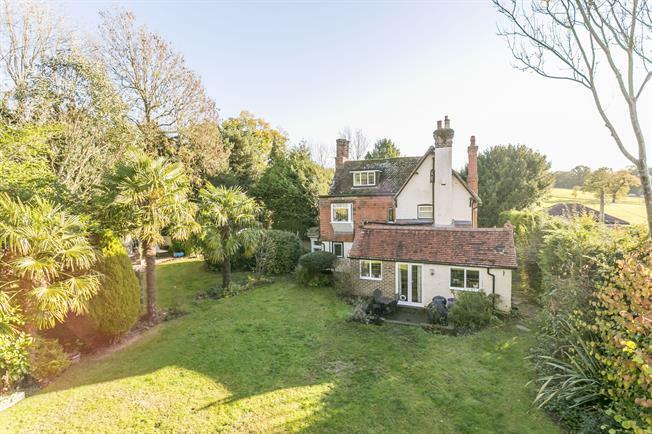 A stunning characteristic period property situated in the heart of Buxted village. Entrance hall leading through to refitted kitchen diner overlooking the rear garden, lounge with dual aspect and original stone fireplace, Family room and downstairs WC. To the first floor there are three good size bedrooms and family bathrooms, bedroom three offering fireplace. To the second floor there is master bedroom with fantastic views, ensuite bathroom and ample storage. The property boosts with stunning character features, offers an enclosed 1/3 acre plot and driveway with ample parking.